We’ve shown before that email marketing has proven to be the single most effective digital marketing strategy in your e-commerce toolbox. Companies and developers have not failed to notice, leading to numerous and wide-ranging options for the online entrepreneur. Aweber has long been a leader in email marketing and satisfies the needs of over 100,000 small businesses. Nevertheless, with the precipitous growth of new and specialized platforms and tools, it may not be the best choice for your business. Below, we outline just a few great alternatives to Aweber to consider for your email marketing campaign. If you’re not familiar with omnichannel marketing, you should be. Omnichannel marketing refers to a fully integrated user experience for your customer. This includes leveraging all forms of outreach, including email, SMS, social media, phone, and much more into one seamless campaign. Omnisend allows you to automate this entire process easily using a visual workflow and a drag and drop email builder so you can avoid getting bogged down in technical details. Omnisend helps you build your email marketing list with customized landing pages for email capture, as well as interactive, dynamic pop-ups. Omnichannel is a great Aweber alternative and offers a free plan allowing you to send 2000 emails a day, and up to 15,000 a month. You’ll need a paid plan to access all of their great features, but even their paid plans are competitively priced. Mailchimp may be the best-known platform for user-friendly email newsletters. Similar to Omnisend, it utilizes a drag and drop system, saving you time and effort. For email campaigners that do best with a strictly visual experience, Drip may be the best Aweber Alternative. Drip allows you to create a workflow for your campaigns and automatically proposes automation strategies to employ. While Drip’s straight-forward and bare-bones set up make this great for a true beginner, it does mean there are limitations when it comes to customization. Drip only allows for a heading, body, and conclusion as opposed to the customizable ‘blocks’ utilized by other platforms. When shopping for a car, you try to find the perfect one that includes all the features you like, without the added expense of accessories you don’t want or will never need. SmartrMail is an Aweber alternative comparable to a sensible sedan. In this way, it is much like Drip. SmartrMail provides easy email automation with drag and drop capabilities geared toward novices. 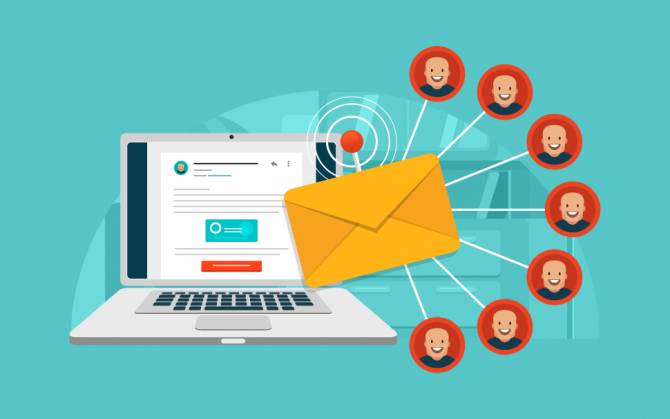 Both offer straightforward email marketing without the option of connecting campaigns to create an omnichannel strategy. SendinBlue deserves some recognition on this list. While not as comprehensive as Mailchinp or Omnisend, it boasts great options and ease of use. The visual composer allows you to set up a great campaign in no time. Unlike Drip or SmartrMail, but less comprehensive then the connectivity of Omnisend, it allows you to leverage SMS in your campaigns. It also proposes workflows for your marketing strategy, taking some of the creative pressure off of your shoulders. All in all, SmartrMail is a good mid-range alternative to Aweber. As far as capabilities and sophistication, ActiveCampaign sits at the top of the list. Given its user interface, it may also be a great option for those with considerable experience using other email marketing services or a traditional CRM. It further allows the user to manage multiple domains with their respective email list. Given its many capabilities, the time it takes to master can be considerable. For those looking for simplicity, your best bet most likely lies further up this list. The capabilities of these email marketing platforms are as wide-ranging as they are numerous. As such, it is essential that you research your alternatives and find one that matches your business, skills, and goals. The right platform paired with the perfect campaign can quickly drive your business to new heights.